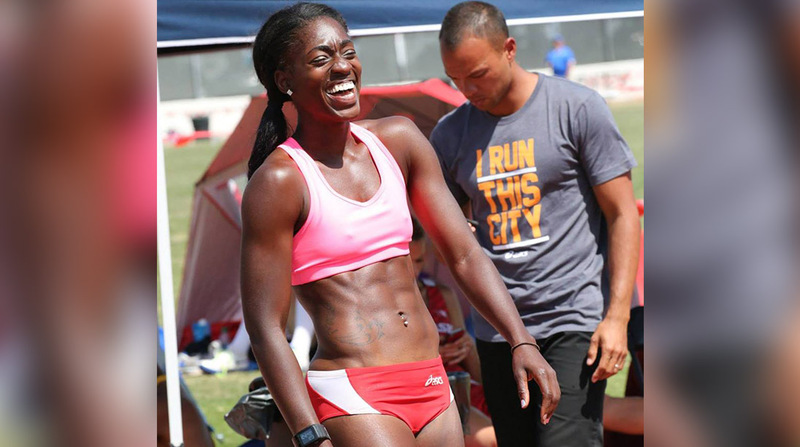 Heptathlete Tiffeny Parker serves up some helpful tips. Preparing for the Olympic trials is an endeavor unlike any other. It requires a unique set of training paired with specific nutrition and dieting ensuring you’re in peak form for competition. We spoke to Tiffeny Parker, an Olympic hopeful heptathlete (that means she competes in the heptathlon – a 2-day, 7-event track and field competition), who opened up to us about how she makes the most of her meals for maximum impact, both on and off the field. Here are our top 10 takeaways. CB: Over the course of a heptathlon, you utilize many different parts of your body. Do you eat differently as you prepare for different events? TP: Oh, definitely. I’m very conscious of what I’m eating. The heptathlon starts with hurdles and since my breakfast is a little heavier, I usually eat it a minimum of 2 to 2.5 hours before I compete. Breakfast typically consists of oatmeal, peanut butter and coffee. I just love coffee and can’t live my life without it. You can tell me to give up anything else. It's not going to be coffee. When I’m done competing for the first day, literally within 30 minutes, I definitely have a protein shake before I start my cool down. Chocolate is my way to go, and I also love Quest’s Cookies & Cream flavor. 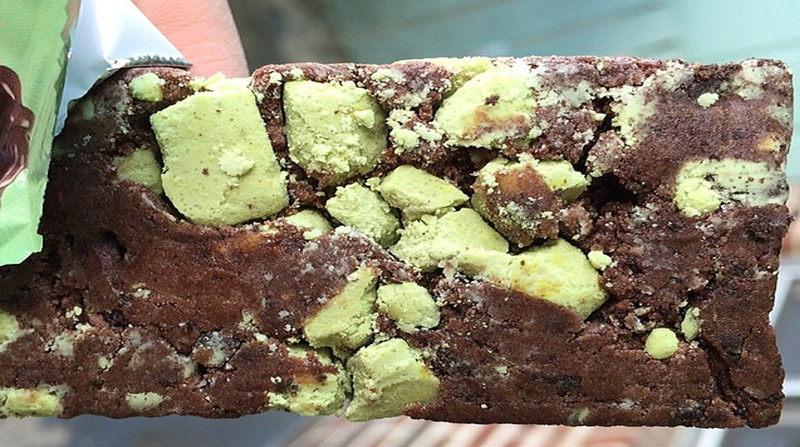 CB: So it’s chocolate for your protein shakes, but what about protein bars? TP: I demolish Quest Bars. I literally have at least two bars a day – sometimes 3. Literally, my box of Quest Bars doesn't even make it to the house. It stays in the back of my car. I just had the Chocolate Lover's box and I'm between two favorite flavors right now: Chocolate Brownie and Mint Chocolate Chunk. I really can't decide. The mint just gets me with those little green mint pieces. Every time I bite into it I'm like, oh my gosh – that's it! But I'm a chocolate lover in general. CB: How often do you allow yourself to cheat on your meal plan? TP: Around November/December, I'll go 3 days on my meal plan and maybe a day off. It just depends on things like if it's a holiday and I don't want to be that person who’s eating a plate full of vegetables at Thanksgiving – which I have before. When January rolls around, that's when I get super, extremely strict about my diet. My opening heptathlon of the year will be in mid-April, so it varies, but I always throw in some type of a cheat day because you're going to absolutely kill yourself if you try to do seven days straight. I've done it before. I was miserable. I didn't have Quest Bars in my life at that point, so maybe that's why I was miserable because I need some form of sweet and I would rather have it not be sugar so it's really difficult. I either eat five baskets full of fruit or I’ll have some type of a cheat meal. 4. Eat to fuel your body – but make it taste good! CB: What do you have to change about your diet when you get into peak training season? TP: I'm not really a huge carb person. I don't eat a lot of bread, pasta or rice, but after the heptathlon it’s all about your recovery and replenishing your body, so I just make myself do it. Oatmeal is pretty much just the carb of choice and my go-to. My morning is always the same. I can eat an omelet every single day and be totally fine with my life. I know how to cook with different vegetables so that makes it a lot easier for me to not get bored with eating the same thing because I can get really creative with ingredients like mushrooms, eggplant, anything that can add texture to eggs. Scrambled eggs can get really boring after a while so you have to figure out a way to spice it up. 5. Prepare your own food to avoid temptation. CB: Do you make a lot of your own meals? TP: I have to because I don’t have time to go to restaurants. I also don't eat fast food because I know I don't have self-control when it comes to going to Chik-Fil-A across the street and trying to get boneless chicken nuggets and no French fries. I'd just rather not put myself in the situation because I love French fries. So I avoid that and pack my car full of snacks.